I still liked my name better...Oh well congrats! Hi, are there individual photo for Pelo and Nobuhle? We don't have individual photos posted anywhere, but you can look for them by noting where the shaved mark is on each cub. I liked my names better also... the chosen names don't seem to fit with the descriptions of their personalities...congrats to the winners! Congrats to the winners, but what probably happened was that all the good names that "fit" with the descriptions were submitted multiple times, so the judges were told to choose the best names out of the entries that only had one submission. 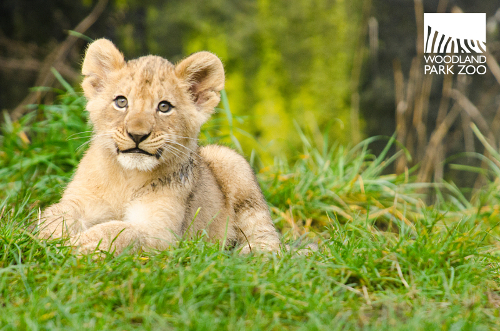 Imagine the up-'roar' if you had submitted the winning name but someone else got the grand prize! Don't worry--we included in the rules that if a winning name was submitted by more than one entrant, that the prize winner would be determined by random draw. No eligible entry was excluded. We think "love" is a meaning that applies beautifully to all of our very social and family-bonded cubs, and "happy and independent" works great for our female who is naturally curious and first to explore something new. There were many great options to choose from--this was no easy task! ha-ha ... 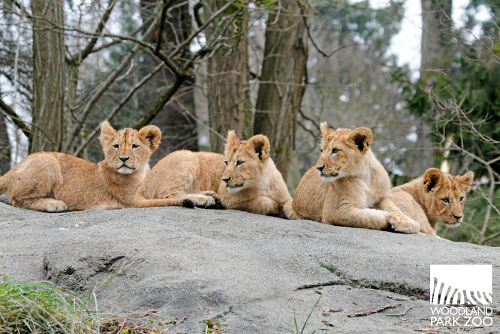 I was wondering how you guys (the zoo keepers) can tell each lion cubs from one to the other. I've noticed the shaved mark on their front and back, but wasn't aware the right and left. In regard to the individual photo. Check out the MyZoo Spring 2013, on page 30. It would be very interesting that if you could put those photo online and put the name next to each photo. 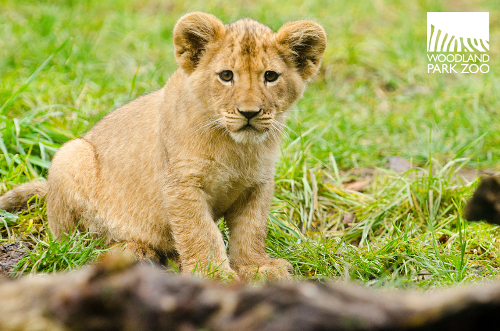 Is Rudo the cute little cub on the cover of MyZoo?